Our home base and primary service area, we are proud to provide Carrollton's best printing options. We feel that's a claim we've earned the right to make with 30+ years of top quality commercial printing services in Carrollton. Why not give us a call or browse our printing services! Geographically, we're based right on the border of Addison and Carrolton, so it's been a natural fit for us to provide commercial printing services in Addison since our founding. We've been one of Addison's top printing companies for over 3 decades and plan to continue to serve them for years to come! We're conveniently close to DFW's largest city, and are proud to provide Dallas Commercial printing services! We also offer pick up and delivery services, and pricing that makes us impossible to overlook. Check out the range of services that made us one of Dallas' top printing companies. Farmers Branch has been our near neighbor since we opened up shop, and we consider ourselves one of Farmers Branch's best printing companies. 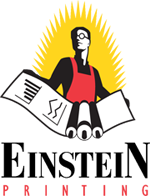 We've been proudly providing Farmers Branch commercial printing services for over 30 years. Why don't you contact us for a quote and find out why our Farmers Branch clientele are so happy with us!